Spirax-Sarco HM34 Series inverted buckets traps feature steel construction that makes it a logical choice for systems up to 465 psig. 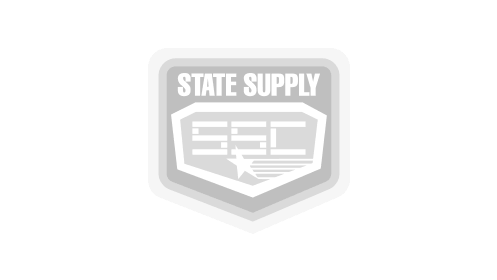 These traps are available in 1/2" through 1" with threaded or socket weld connections. 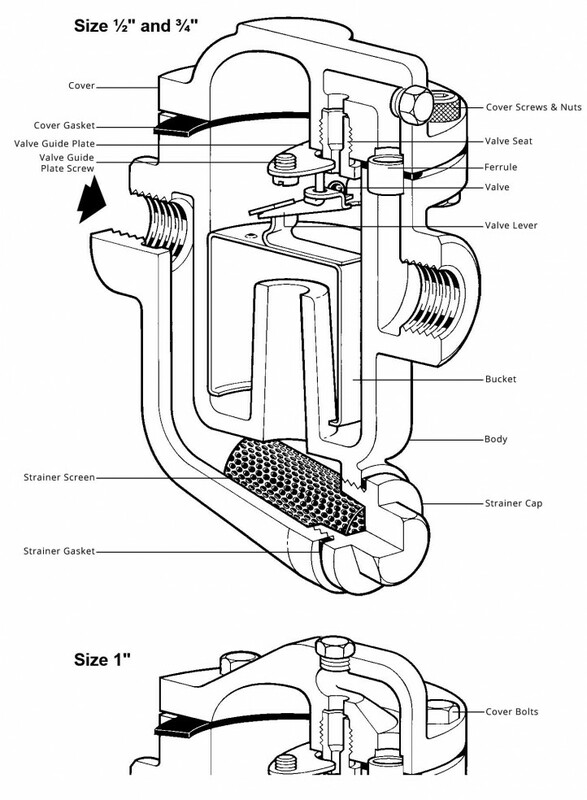 The stainless steel bucket and valve are resistant to corrosion and water hammer. Spirax-Sarco 1/2" NPT HM34 Series carbon steel inverted bucket steam trap with internal strainer for horizontal installations. This trap is for pressures up to 464 psi. Spirax-Sarco 1/2" NPT HM34 Series carbon steel inverted bucket steam trap with internal strainer for horizontal installations. This trap is for pressures up to 290 psi. Spirax-Sarco 1/2" NPT HM34 Series carbon steel inverted bucket steam trap with internal strainer for horizontal installations. This trap is for pressures up to 170 psi. Spirax-Sarco 1/2" NPT HM34 Series carbon steel inverted bucket steam trap with internal strainer for horizontal installations. This trap is for pressures up to 120 psi. Spirax-Sarco 1/2" NPT HM34 Series carbon steel inverted bucket steam trap with internal strainer for horizontal installations. This trap is for pressures up to 60 psi. Spirax-Sarco 3/4" NPT HM34 Series carbon steel inverted bucket steam trap with internal strainer for horizontal installations. This trap is for pressures up to 464 psi. Spirax-Sarco 3/4" NPT HM34 Series carbon steel inverted bucket steam trap with internal strainer for horizontal installations. This trap is for pressures up to 290 psi. Spirax-Sarco 3/4" NPT HM34 Series carbon steel inverted bucket steam trap with internal strainer for horizontal installations. This trap is for pressures up to 170 psi. Spirax-Sarco 3/4" NPT HM34 Series carbon steel inverted bucket steam trap with internal strainer for horizontal installations. 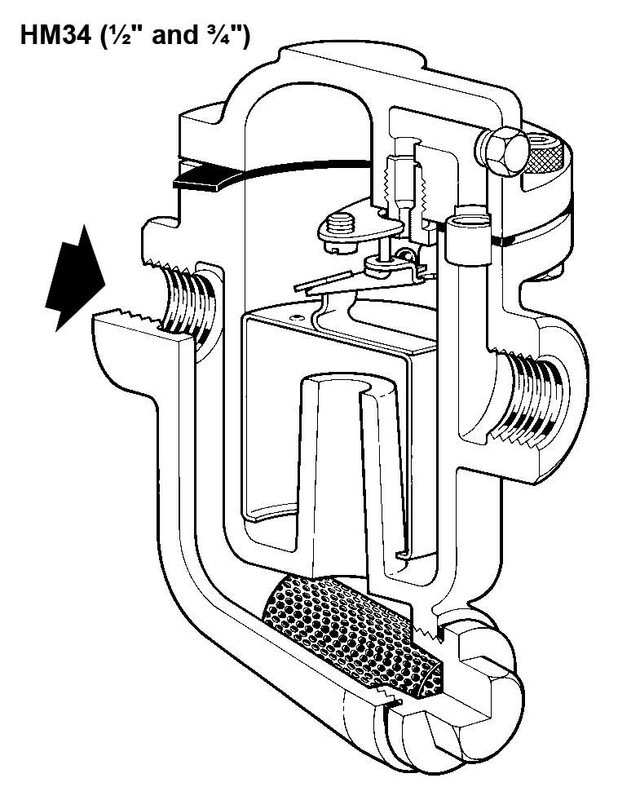 This trap is for pressures up to 120 psi. Spirax-Sarco 3/4" NPT HM34 Series carbon steel inverted bucket steam trap with internal strainer for horizontal installations. This trap is for pressures up to 60 psi. Spirax-Sarco 1" NPT HM34 Series carbon steel inverted bucket steam trap with internal strainer for horizontal installations. This trap is for pressures up to 464 psi. Spirax-Sarco 1" NPT HM34 Series carbon steel inverted bucket steam trap with internal strainer for horizontal installations. This trap is for pressures up to 290 psi. Spirax-Sarco 1" NPT HM34 Series carbon steel inverted bucket steam trap with internal strainer for horizontal installations. This trap is for pressures up to 170 psi. 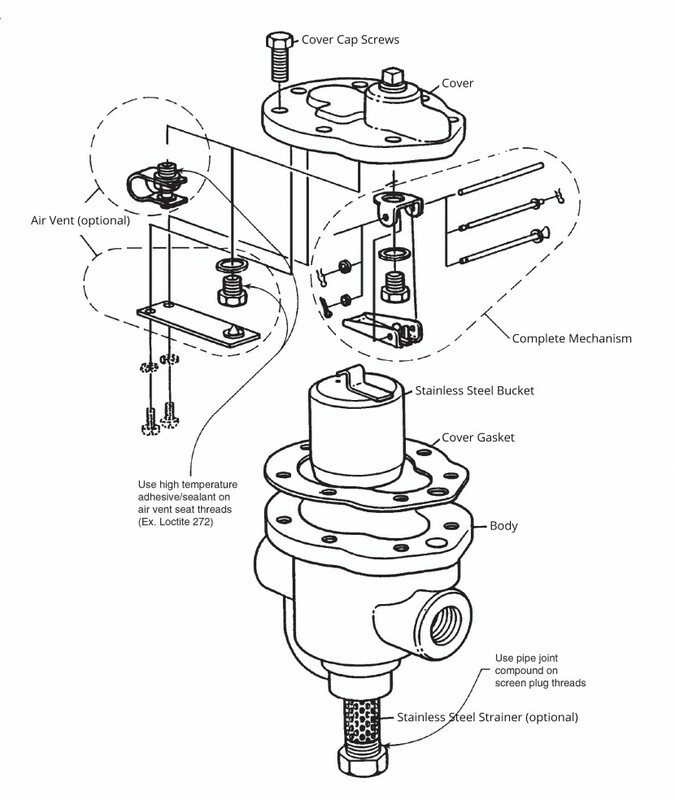 Spirax-Sarco 1" NPT HM34 Series carbon steel inverted bucket steam trap with internal strainer for horizontal installations. This trap is for pressures up to 120 psi. Spirax-Sarco 1" NPT HM34 Series carbon steel inverted bucket steam trap with internal strainer for horizontal installations. This trap is for pressures up to 60 psi. Spirax-Sarco 1/2" sweat HM34 Series carbon steel inverted bucket steam trap with internal strainer for horizontal installations. This trap is for pressures up to 464 psi. 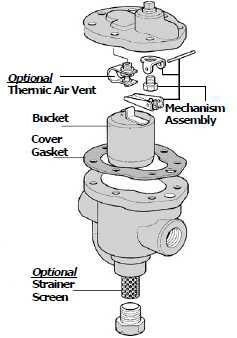 Spirax-Sarco 1/2" sweat HM34 Series carbon steel inverted bucket steam trap with internal strainer for horizontal installations. This trap is for pressures up to 290 psi. Spirax-Sarco 3/4" sweat HM34 Series carbon steel inverted bucket steam trap with internal strainer for horizontal installations. This trap is for pressures up to 464 psi. Spirax-Sarco 3/4" sweat HM34 Series carbon steel inverted bucket steam trap with internal strainer for horizontal installations. This trap is for pressures up to 290 psi. Spirax-Sarco 1" sweat HM34 Series carbon steel inverted bucket steam trap with internal strainer for horizontal installations. This trap is for pressures up to 464 psi. Spirax-Sarco 1" sweat HM34 Series carbon steel inverted bucket steam trap with internal strainer for horizontal installations. This trap is for pressures up to 290 psi.